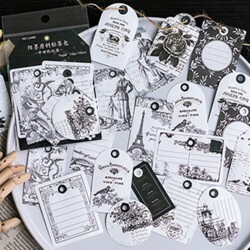 The set contains 12 10x15cm sized journal cards and 12 5x5.5cm size sheets - a total of 24 tickets with sweet children's pictures and notes. 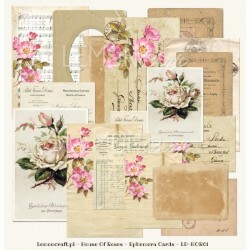 Weight 250g They are perfect for making layouts, albums and greeting cards or invitations. Acid-free and lignin-free, with a weight of 200g, printed on one side in a charming, romantic patterns. Made in Poland. 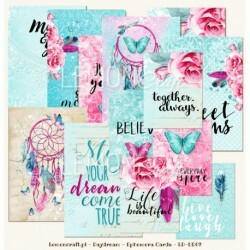 Daydream Ephemera Cards. Includes a total of 32 cards. 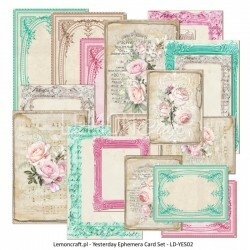 This collection includes 16 cards 10x15cm and 16 cards 5x7,5cm. 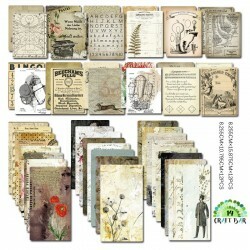 They are perfect for making layouts, albums and greeting cards or invitations. Acid-free and lignin-free, with a weight of 200g, printed on one side in a charming, romantic patterns. Made in Poland.